A lot of you just finished your fantasy football drafts, some of you your first ever. A lot of people who took advice from the BEAST DOME DRAFT GUIDE this preseason have ELITE caliber squads with depth across the board. I will continue to be publishing free content to help guide you to your championship. Please feel free to leave your comments about the Draft Guide/Cheat Sheets/Preseason articles. Anything would be more than appreciated. This is how you can say “Thank You” as these testimonials only make me want to write more for everyone. 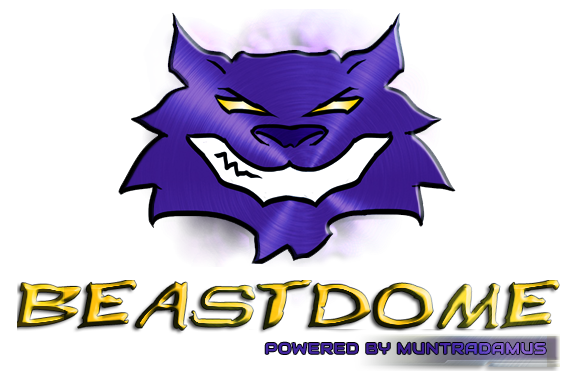 We would like to give a BIG thank you to Muntz and his Beast Dome site for helping us have a VERY successful draft. 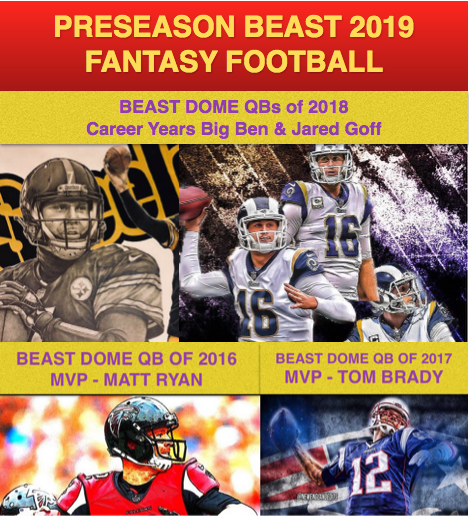 I spent a lot of time in the past reading a variety of articles and even purchased a draft kit last year and nothing came close to the FREE information and Draft Guide Muntz created that I used this year. The draft guide was a no brainer, each section was broken into Tiers of the quality of player and a idea of which round they should be taken. In many classes I was able to select the best player (higher Tier) in rounds later than expected than those being drafted around me. I went into the draft having to draft two teams since my son was unable to make it. The draft guide made it simple, I just crossed out the players drafted and chose best available when it came time to make a selection. Team 1 (selection 2): Brady, Demarco, McGahee, Colston, Roddy White, Dez, Aaron Hernandez, K.Smith, Bowe, Tate, Pettigrew, Scott. Team 2 (selection 10): Brees, Steve Jackson, Jamaal Charles, Martin, Andre Johnson, B. Marshall, Gates, Wayne, Schaub, Witten, J. Rodgers, Amendola. Players ranked higher than other draft sheets are starting to make more since as the national media begins to discuss the changes to the player in question. Usually it’s a change to the offensive philosophy or coordinator. It was great to have your draft sheet reflect this information without having to do any of the research. …Muntz, Thank You again for all your time and effort, we are looking forward to a very successful season!!! Really like the articles munt, I really appreciate the work and have a lot of respect for your expertise. Ready for a great season. I am in 4 leagues and I feel VERY confident in all of them thanks to Muntradamus’ draft preparation. His predictions and research make me comfortable with every pick I made … in ALL FOUR DRAFTS! I was in 1st, 4th, 7th and 9th positions, and all of my teams ended up SOLID. I got my Beasts! I got my sleepers at exactly the right time. I am confident Muntradamus’ suggestions will get me straight to the playoffs, and I will definitely be checking back throughout the season for waiver wire pick-ups, trade suggestions, beasts and busts. Such a personal commitment to fantasy sports is unheard of anywhere else – Muntradamus is the real deal. Muntradamus is by far the best analysis out there. He accurately predicts a majority of players and dominates at all the leagues. For this week within my three different leagues, all my players destroyed my competition, and I still have Darren McFadden yet to play. M truly cares about his meticulous work on correctly predicting all results. Great dude, and once again I recommend the VIP package even more! His articles are da bomb too, with clever names (Call me Maybin, still one of my favorite). First off I’ll just say I’ve counted my blessings for finding this fantasy site. All the information is top notch and in depth. This was the first fantasy football draft I’ve done without second guessing and not feeling confident in every pick. Munt knows his stuff and gives a the reasons to believe it. While I was raising eyebrows at my draft all I could do was smirk knowing I just pulled highway robbery on all my friends! Ever since I came across beastdome I visit the sit at least 3 times a day and will continue to do so. This will from now on be my only go-to fantasy site. Appreciate the information and you should too! Now that I have the time to comment, let me say how grateful I am for this website…I came across it after my fantasy draft in basketball last year halfway into the season and I didn’t have any chance of getting into the playoffs, much less winning the whole thing. With the waiver wire pickup tips and who to trade for, I made it into the playoffs and almost upset the 1 seed in the second round. This year for football, I recommend listening to M for any start/sit moves and waiver wire pickups. This guy is rarely wrong! On a personal note, thanks for all the help you have given me. I would call myself the best team in my FF league this year and I can’t wait to make a run in the playoffs. Munt is seriously a fantasy sports god. When I first found out about his site during the NBA season, he gave me solid advice for my midseason moves. This season will be my first real money league for football. Obviously, I felt pretty behind in fantasy football knowledge compared to my competition, so I had to rely off of Munt’s drafting articles and cheat sheets. After the first week, the team I drafted has already paid off, as I scored 144 points to lead in Week 1 (2nd place is 117 points). I look forward to picking at his brain to help me confidently win my league. I appreciate it Munt! hey playas get chose here (mikie). this is my first year to play fantasy football. i joined a league with my brothers who have been playing for the last 5 years. before this season, i’ve kept up with football but i’m far from any form of guru for sure. to name a few, let’s just say i didn’t even know who stevie johnson or pettigrew was before the season (can you say NOVICE). by an act of god i stumbled across his site. it only took one night for me to completely buy in and join forces with beast dome nation! with my new found “sensei”, as i like to call him, my draft went great. although, i had the 11th pick out of 12 in my draft, thanks to muntz advice i scooped d fad 11th with my first pick. week 1 i was down 15 points with darren mcfadden left to play monday night. thanks to HIS 13 rec., 86 yards rec., 32 yards rush., AND 18 targets he easily got 18 and i won by 3 points. and he didn’t even get a td. what a sweet victory for my first fantasy football game ever! i take a lil credit for the realization of how amazing munt and everything he does is but i really only have Muntradamus and his glorious beast dome nation to thank. the small amount of time i put into writing this is so small compared to how badass muntradamus is! i’ve never even met the guy and i feel like he’s my best friend. as the saying goes “playas get chose”. with munt on my team a playa is really getting chose by the super bowl trophy! that’s my two cents. beast dome nation forever!